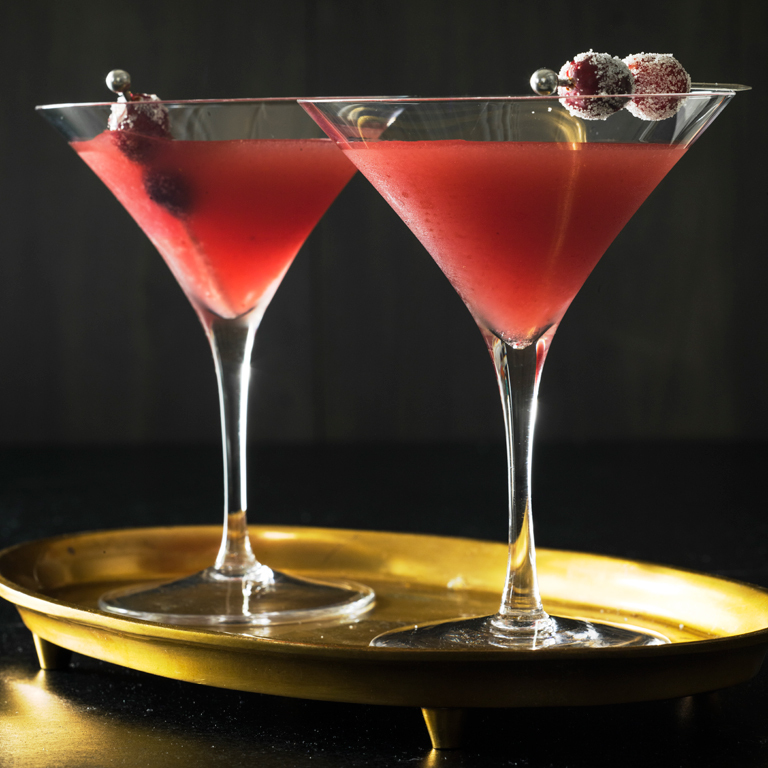 "This cocktail was invented simply because I had leftover cranberry-orange relish from hosting Thanksgiving," says reader Trilby Parker of Redwood City, California. You can also use a combination of orange zest and store-bought cranberry sauce, as we've done here. Put zest and cranberry sauce in a cocktail shaker and muddle it with a muddler or the end of a wooden spoon. Add 1 cup ice and the remaining ingredients. Shake well. Strain mixture into 2 martini glasses.